We’re late. We’re late. We’ve got a flight in two hours and Stuttgart airport is still a good 120 kilometers down the road—75 miles for the metrically challenged. 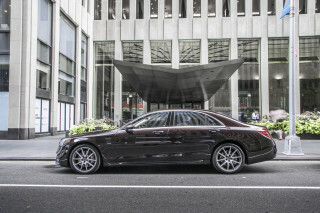 So we slip into the left lane, pound the pedal into the floorboard, and the S600 takes off like a fighter jet. As the needle races towards the rev-limited 240 km/h, the g-forces morph our worried frowns into ear-to-ear grins. Over the past few years, Stuttgart’s hometown automaker has been staging an aggressive transformation. There are few that would argue the claim that Mercedes-Benz builds some of the world’s most luxurious automobiles, but until now, they’ve been best defined for their cool Teutonic precision. A flood of new and updated vehicles could change that perception as Mercedes seeks to pump a little more passion into its products. It’s not all that difficult with a sports roadster like the SL55 AMG. But the S-Class is an entirely different story. These top-line sedans speak, first and foremost of status; they’re meant to say you’ve arrived, as it were, even before you pick your destination. Yet in some ways, the S-Class represents, more than any other model, the change underway at Mercedes. Surprisingly sleek, the all-new model introduced four years ago was a stunning alternative to the big, boxy sedan it replaced. And now, with a mid-cycle update, the S-Class continues that evolution, albeit in more subtle form. TheCarConnection got a chance to check all those changes out during a day-long drive through the impossibly picturesque Black Forest, and then with a mad dash to the airport. 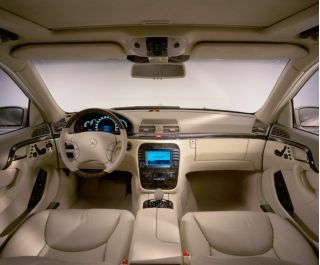 We had the opportunity to climb inside all three of the models due to reach the U.S. in the coming weeks though we focused on the most significantly updated of the trio, the S600. The ’03 model’s V-12 engine is actually getting downgraded in size from 6.0 to 5.5 liters. But thanks to the new twin turbochargers, horsepower jumps by more than a third, from an acceptable 362 horsepower to a neck-snapping 493, making it one of the most powerful products Mercedes has ever offered. If that engine appeals to the emotional side, the all-new Pre-Safe system is likely to touch a more rational note. Traditional safety systems, such as Mercedes’ ESP stability control, are designed to either prevent an accident, or like airbags, they’re designed to improve your odds if a collision occurs. Pre-Safe—which is discussed in more detail in a separate article—creates a new middle ground. It is designed to detect when an accident is likely, and begin reacting even before the collision occurs. We shoot into a corner significantly too hot, sending the car spinning. Since we’re on a test track, no harm occurs, but as we gather our wits, we notice the seatbelts have tightened up, the front passenger seat has moved into a safe, upright position, and the windows and sunroof have closed to reduce the odds of a passenger ejection. 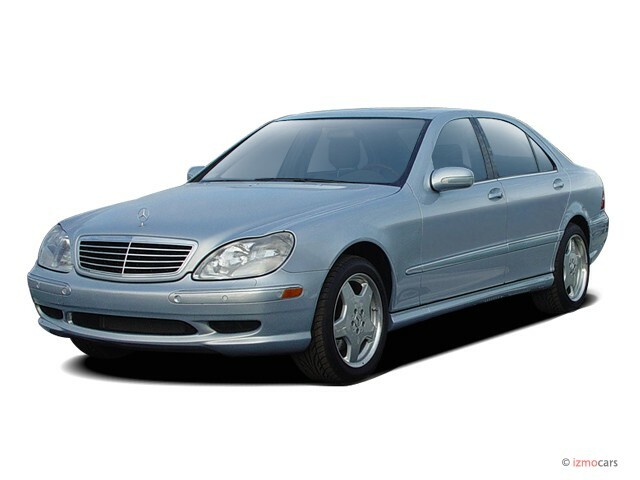 Pre-Safe debuts on the 2003 S-Class, but according to spokesman Fred Heiler, “We’ll expand its availability to more and more models” over the coming years. With the mid-cycle update, Mercedes also makes its all-wheel-drive 4Matic system available on the S-Class for the first time. Unfortunately, it will not be offered on the S600. There are a number of exterior changes to the entire S-Class line-up, though it’d take a true aficionado to catch them immediately. 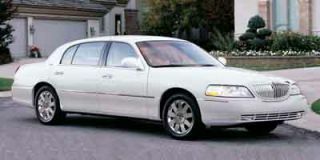 These include a more streamlined grille, more elegant headlights and all-new taillights. There are new puddle lamps mounted on the bottom of the sideview mirrors. More noticeable and notable are the improvements to the interior. German automakers have embraced technology with a passion once reserved for the Japanese. 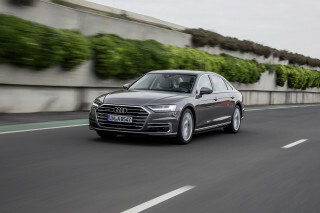 Unfortunately, their embrace of gadgetry has not been matched by an emphasis on ergonomics, as anyone who has battled the iDrive in BMW’s new 7-Series can attest to. But Mercedes’ COMAND system wasn’t all that much better in initial form. There were an assortment of knobs, buttons and toggles that all too often seemed to defy logic and convention in their operation. For 2003, many of the more confusing controls have been replaced or at least simplified. There are still a few that operate counter-intuitively, but this is a definite improvement. So is the new and larger video monitor. 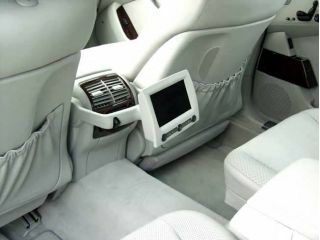 Overall, the interior has been refined and updated. It’s not as dramatic a change as you’ll find in the new E-Class, but still a definite improvement. During a pleasant afternoon’s drive, we drift through what the natives call the Schwarzwald, the land of cuckoo clocks and Grimm’s Fairy Tales. It’s both a scenic and challenging tour, with narrow, winding country lanes connecting the ancient villages. With its Active Body Control and AirMatic suspension, the S-Class is more nimble than you’d expect for a car of this size. It is still not the driver’s car that the 7-Series is, but each successive generation of the S-Class further blurs the distinction. And considering the controversy over the new BMW’s styling and technology, the timing is perfect for Mercedes to update its flagship sedan. The S-Class has long and overwhelmingly dominated the sales charts in the so-called “high-luxury” segment. The level of competition is clearly growing, and not only from BMW. 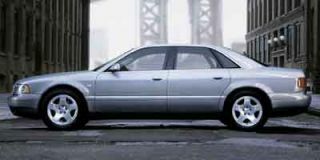 Audi has a third-generation A8 on tap for next year, while Jaguar’s back with the latest, and now all-aluminum version of the XJ. There’s also an assortment of new “ultra-lux” products aiming to pick off those willing and able to spend even more than the steep entry price of the S600. 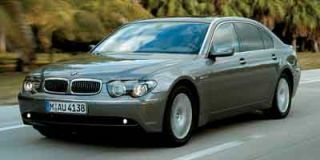 Even so, with the debut of the 2003 updates, the S-Class is quite likely to maintain its standing at the head of its class. The S430 4matic is quieter and gets better gas mileage. The S500 has almost all of the S600 options. I don't care for the Distronic Cruise Control. The fuel mileage of the S500 is worse than my 12 cylinder... The S430 4matic is quieter and gets better gas mileage. The S500 has almost all of the S600 options. I don't care for the Distronic Cruise Control. The fuel mileage of the S500 is worse than my 12 cylinder BMW. Other than that, we love our Mercedes sedans. Looking for a different year of the Mercedes-Benz S Class?